​Hi friends! Welcome to the blog, I'm glad you're here! 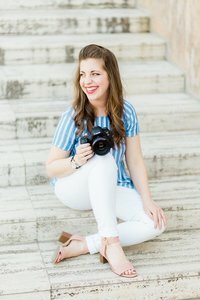 I'm Tara, a Texas girl that loves game nights, tiramisu, painting, and of course photography! I'm a believer, an encourager and the sweet "in-between" moments are my favorite to capture. Thank you for being here, I hope you'll stay awhile! Amanda and Ki-Young both have hearts of gold and it’s clear they were made for one another! Ki-Young came all the way from Chicago then these two drove up from Houston for their session! Thankfully, we were blessed with one of the prettiest days of the week. We had absolutely perfect light and weather and have I mentioned that I’m obsessed with this spot in Fort Worth!? Amanda and Ki-Young met at a birthday party in Austin, but didn’t become friends until almost a year later when Ki-Young was planning to move to Chicago where Amanda happened to be living at the time. Together they love long drives and visiting cozy coffee shops! Amanda eventually moved back to Texas, but they kept up their relationship long distance through phone calls and occasional visits. Ki-Young is quite the romantic, even living in different states, he made the effort to meet Amanda’s parents to ask for their daughter’s hand in marriage! When he was ready to propose, he secretly flew to Houston with one of Amanda’s best friends, Alexis. Without letting Amanda know he was in town he waited at Hermann Park while Alexis and Amanda went to the park to “hang out.” At the park, Alexis lead Amanda to the spot where Ki-Young was hiding where he proceeded to ask Amanda to marry him! Amanda of course, said “Yes!” and these two are tying the knot next July in Houston! Amanda and Ki-Young, I’m honored to be a part of this exciting season of life for you both and I can’t wait for the day you become husband and wife!! So pretty! You both look very happy 🙂 Excited to see your save the dates! Amanda and Ki-Young: Lovely photos archiving this exciting step on your journey. So blest to be Mom! It’s so lovely. Looking forward to seeing you in near future. Congratulations! Congratulations to the perfect couple! So happy to hear your great news. Also, it is really good to see you. Both look so gorgeous and nice. Wishing you all the best! Texas wedding and senior portrait photographer based out of Weatherford, Texas.